Too often, immigrant stories are told by others, whether in the media, legislature, history books or in our common imagination. 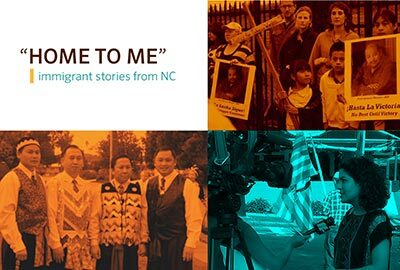 “Home to Me: Immigrant Stories from NC” is a new multimedia series presented by the NC Justice Center based on the belief that stories told by immigrants, in their own words, have the power to change our assumptions about who immigrants are and deepen our understanding of the migration experience. Every month, the project will release a new story from an individual or family, and the series as a whole will highlight a wide variety of backgrounds and experiences. 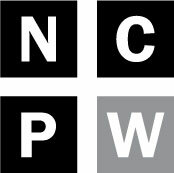 Through video and other multimedia components, the series explores the challenges some immigrants face as North Carolina residents, the importance of immigration reform at the national level as well as fair and reasonable policies locally and statewide, and how North Carolina has become home to thousands of people from all over the world. “Home to Me” will engage themes such as discrimination and exploitation, cultural identity, strong family ties and immigrants’ hopes for the future. Some arrived here as children, others are new to the state, but they all have come to call the Tar Heel state home. This month’s video features Valeria Sotelo, a student at Salem College. Born in Mexico, Valeria’s DREAMer documentation allows her to be here legally for two more years but she isn’t sure whether she’ll be able to find work once she’s done with school. Even if the DREAM Act were to pass, Valeria said, her parents – who work hard and pay taxes – would still face challenges to becoming citizens. Valeria wants lawmakers to consider the individuals who have come to call North Carolina their home and have worked tirelessly to achieve their dreams, both for themselves and their families.